Ecoflex. ECOnetic. Ecomotive. BlueMotion. EfficientDynamics. Blue Lion. ECO2. This random assortment of terminology is at the hub of car manufacturers’ marketing plans at the moment as they try to convince us that their offerings are as environmentally-friendly as a vegetarian, Guardian-reading cyclist. But there’s real substance to back up the marketing speak, with cars now offered to fit into the UK’s two key tax-break limits – 120g/km and 160g/km of CO2. The subject of this road test is the latest member of the sub-120 club. The Astra Ecoflex 1.7 CDTi emits 119g/km of CO2, thereby qualifying for the lowest 13% benefit-in-kind tax band for diesel-engined vehicles. As well as a BIK bill of around £30 a month for a basic rate taxpayer, the Ecoflex also qualifies for £35-a-year road tax. In cost-conscious times these are seriously small – and seriously appealing – numbers. As with other manufacturers, Vauxhall’s work in this sector proves that rather than going green being seen as an investment, it is actually a cost-saving measure. 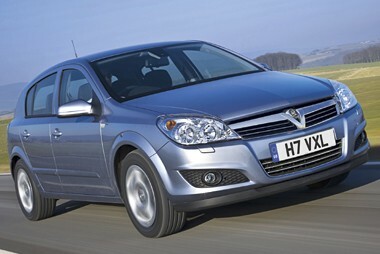 Vauxhall announced the Ecoflex Astra back in September, but the models are only now on the road. They join the Corsa and Agila Ecoflexes, and will in turn be joined by an version of the new Insignia upper-medium challenger in a few months’ time. For the Astra’s conversion to Ecoflex, the 1.7-litre CDTi turbodiesel engine actually has its power upped from 100 to 110bhp. Torque rises by 15lb-ft.
There’s a six-speed manual gearbox, lowered chassis to improve aerodynamics, diesel particulate filter and low-rolling resistance tyres on the five-door Life trim level which is the subject of this test (three-door Sport Hatch and estate versions are also available). It all adds up to claimed combined fuel economy of 62.8mpg, which in real-world terms should easily translate into the high 50s. There’s little in the way of compromise in choosing the Ecoflex model. It drives in much the same way as the standard model and blends the usual Vauxhall traits of solidity, a fair smattering of style and a clear, uncomplicated dashboard layout. It drives well, too, with no compromise for a driver in choosing the eco-friendlier version –sharp steering, a taut chassis, user-friendly controls and a comfortable ride. Factor in the fact that the Astra still looks good on the road despite its time in the lifecycle and you are left with an Astra which appeals to the head and the heart. But how does it fare on the balance sheet? We’ve chosen the cheapest low-emission models, all offering CO2 of 120g/km or less. As entry-level versions, none is over-burdened with kit, but they have the basics covered. 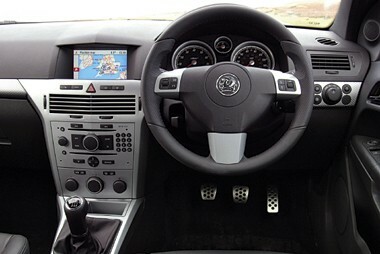 The Astra is the most powerful with 110bhp, the Ford and Peugeot offer 90bhp and the SEAT 105bhp. All four fall into the lowest 13% diesel benefit-in-kind tax band, so the difference in tax bills comes down to front-end price. For a 20% taxpayer, the Ford will cost £35 a month, the Astra £34, the Peugeot £31 and the SEAT £30. None is going to break the bank, though. All four cars run on 15-inch wheels so tyre costs will be similar. The Vauxhall is the cheapest thanks to 20,000-mile service intervals. The Ford needs attention every 12,500 miles, the Peugeot every 12,000 and the SEAT every 10,000 miles – needing twice as many services as the Astra over 60,000 miles. These cars should all return real-world economy in the high 50s, but officially the Focus leads on 65.6mpg for a diesel bill of £4,362 over 60,000 miles. The others all return 62.8mpg, meaning they will cost around £200 more in fuel than the Ford over a typical fleet life. The lowest front-end price and the highest residual value prediction sees the SEAT pull ahead. CAP estimates it will be worth £4,750 (33% of cost new) after three years/ 60,000 miles. The Ford will be worth £4,550 (27%), the 308 £3,875 (26%) and the Astra £3,375 (21%). The SEAT pulls out a near-two-pence per mile (ppm) margin over the Peugeot, and it does the majority of the damage in the depreciation sector. The Ford is 3ppm adrift of the Leon, while the Astra is a further 1ppm back, although it does have the cheapest SMR costs. The SEAT Leon puts in some seriously impressive figures in this test – the cheapest to buy, the least expensive to run (by at least one pence per mile and up to five pence per mile) and offering drivers the lowest company car tax bills, although all four cars are very easy on the wallet. It does this by seriously undercutting the competition on price – £2,100 cheaper than the Astra at the front-end. Despite not being as good a car to drive as the Astra or Ford Focus, the Leon wraps up a convincing victory here. In this particular section of the market, cost is king and the SEAT’s no-frills approach is the sensible one to take.